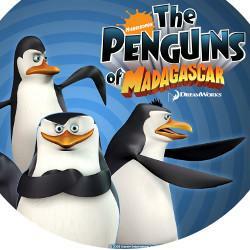 Do you still remember about the four annoying penguins on their trilogy animated movies of Madagascar? The solo movie of the penguin group led by Skipper has been officially broadcasted at theatres. This movie is such a prequel of the Madagascar movie. The outline of the movie tells about the origin of how these four best friends could meet, enter the zoo and finally have an adventure. It is recounted that long time ago, a colony of penguins lived in the Antarctic. They are daily gathering always. Their good teamwork that pulled human to document it. But, it turns out that the three members of the big colony, the three little penguins, feel so bored with their daily routine. They are Skipper (Tom McGrath), Rico (Conrad Vernon) as well as Kowalski (Chris Miller). These three penguins are eager to know about the world outside and also get adventure. Then, they decide to separate from the colony. When going to leave their colony, they find a penguin egg which has not incubated yet. They try to save the egg from a walrus who wants to eat it. When they succeed to save the egg, the egg gets incubated and there is a cute and adorable penguin named Private (Christopher Knights), their fourth member. Their cuteness brings them to the zoo. They succeed stealing visitors’ attention of the New York zoo. That is why they become so famous, especially the kid. But, in the middle of their success, there is a jealous animal, named Dave (John Malkovich), an octopus. Dave feels excluded due to the coming of Skipper Cs. Then he tries to revenge for what the penguins did. Dave is so serious to give revenge to the penguins. Even he mixes ingredients to make the penguin to be horrible, instead of cute. He wants that people hate the penguins. To beat Skippers and friends, Dave has a help from north Wind, an intelligent group led by a wolf named Classified (Benedict Cumberbatch). That is a short story about the newest animation movie presented by DreamWorks Animation along with 20th Century Fox titled Penguins of Madagascar. 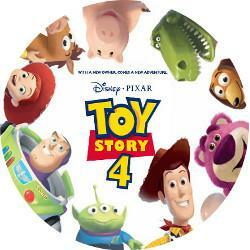 This movie is directed by Eric Darnell and also Simon J. Smith. The story is light enough and also cute as well as adorable. It can be enjoyed by everyone, regardless their age. The comedy unsure in the movie is so full. The moral message outfitted on the movie is about friendship. It teaches kids to be more optimistic, confident, and loyal and also willing to sacrifice as well as trust to the best friends. The other thing imperative to be pinpointed out is the character Classified which is dubbed by Benedict Cumberbatch. This acting of the British should be appreciated. He succeeds in playing two characters, the wolf as well as the spy. Cumberbatch is well-known with the serious expression in his daily life. But he is so good to bring the voice of the funny character, Classified. Being curious with the complete story? Just wait for the broadcast in the theatre closest to you.